Saferide’s TapRide system, designed to reduce wait times and simplify booking a ride, experienced technical difficulties Monday night. The program also made policy changes that require a ride to start or end on campus. SafeRide’s new TapRide system, set to launch Monday night, was met with technical difficulties. NU initially expected to release the app in February, but issues pushed back the release date. Riders were asked Monday night to phone in their requests rather than use TapRide. 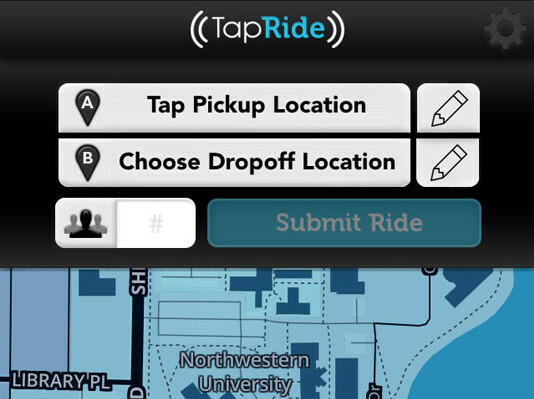 Once up and running, students, faculty and staff will now be able to request rides from their smartphones in addition to calling them in. In order to use the app, potential passengers must log in with their NetID and password and mark their start and end points. SafeRide coordinator Bernard Foster said the program is also adding certain regulations regarding pickup and drop-off locations. Because the rides have been treated too much like a taxi service recently, the organization is now requiring all rides to either start or end on campus, he said. When the University approached TapRide initially, Foster said the application needed to be reworked to accommodate SafeRide, which transports Northwestern community members around campus and Evanston at night. Instead of choosing from a list, riders needed the option to type in their departing and arriving destinations, he said. Each car will also now be equipped with an iPad Mini connected to the main dispatchers. When a student requests a ride, their request will be placed in a queue and drivers will be able to either accept or deny the ride based on whether or not it meets specific SafeRide criteria. A driver would deny a ride for a number of reasons, including if the requested route is less than three blocks or is on a shuttle route when the wait is greater than 40 minutes. Riders will also now receive text messages when their car arrives or an explanation if their request is denied. The service will still accept requests placed over the phone and dispatchers will have access to the system through iPads to enter requests into the queue. The same number of employees will work as dispatchers, Foster said. SafeRide dispatcher Jennifer Yu said the system places more responsibilities on the driver, noting due to the service’s unique specifications, it might be difficult for the app to be effective. As for the new policy regarding start and end locations, Foster said the change was made to both ensure the safety of the driver and to help prevent complaints from the Evanston community. He also emphasized that there were other services on campus to help transport students safely at night. Haley Hinkle, Associated Student Government director of transportation, said she thought this was a reasonable decision and she doesn’t think it will alter how students use the service. As of early Tuesday morning, a Change.org petition to resume off-campus to off-campus service had more than 150 signatures. Foster said SafeRide may also undergo further changes within the next few months. He said he is considering implementing a reduced-schedule service during the Summer Session if students and workers express interest and funding allows for the change. Foster said he is encouraging students to send in feedback through the SafeRide website regarding reactions or problems with the system. He said due to the recent launch, they are still attempting to work out any issues that may arise. Editor’s Note: This article has been updated to reflect the Change.org signature count.